Customer convenience always comes with a price. Cybercrime has been shape-shifting with the times, criminals are now craftier when it comes to exacting their selfish and evil schemes. The result is, the more dependent customers and brands are on the internet, the more susceptible they become to various forms of online threats and scams. No matter how discrete they are with their passwords and their important personal data, customers are compelled to use the internet and are still prone to malicious activities online. If end-users are not careful enough, hackers can invade a person’s privacy and break down their computer’s security simply by determining basic details about them such as their name, birth date, address, email, bank information and even their Social Security Number. Venturing into a criminal’s mind: How do online scams take place? It is important to have an understanding of how online scams take place. With all the advancement technology has been providing in today’s society, it is no longer surprising that hackers can now breach into home security systems, banks, offices, medical institutions, a car’s computer box, and even an entire nuclear plant. It is a scary truth that’s made possible by carefully planned cyber attacks and specifically programmed software. Hackers will find access point attacks by way of determining a network’s weak or vulnerable spot. These weak spots are what hackers will use as their portal into their target’s computer system. A network’s vulnerable spots can be in the form of weak and outdated passwords, faulty firewalls, unpatched and outdated network software, and hosts that are running FTP or unsecure services. 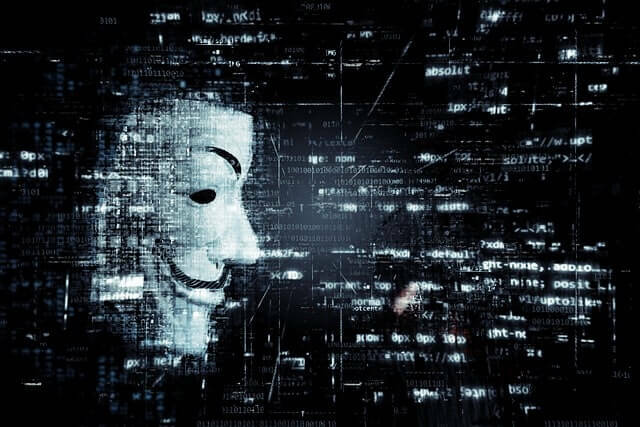 Hackers also take advantage of security holes in different browsers, or guise viruses in the form of a file or a program that end-users will install into their computers. Their methods can range from using phishing scams to malicious software and they can steal a person’s photos, confidential files, tax records, and credit card details without the victim’s knowledge. They can even alter programs installed in computers. In 2017, an abundance of new cybercrime tactics followed the collapse of several businesses along with the infringement of highly valuable data, and some of those who were subject to the unfortunate attack are still in the process of recovering. The worst part about this is that, cyber criminals can cause so much harm from the comfort of their home. They could be right under their victim’s nose, masquerading as their neighbor, friend, or co-worker. Possibly a huge chunk of internet users have come across this fairy-tale like story of a pretend member of a wealthy family, a businessman, or a government officer who seeks assistance in retrieving a huge amount of money from a bank. The scam, which is camouflaged in a tear-jerking, too-cheesy-to-be-true story promises unsuspecting good samaritans to be given an initially small payment for all the legal requirements, before they are given a share of the said money after it is retrieved. Of course, the money is non-existent, and the victims end up paying endlessly for a string of endless excuses such as transfer costs, additional services, and (fake) legal documents. How to avoid it: The best way to avoid the Nigerian scam is by opting not to reply to this type of email. Be vigilant and immediately report the message or letter either to the nearest FBI office, the U.S. Secret Service, or the U.S. Postal Inspection Service. 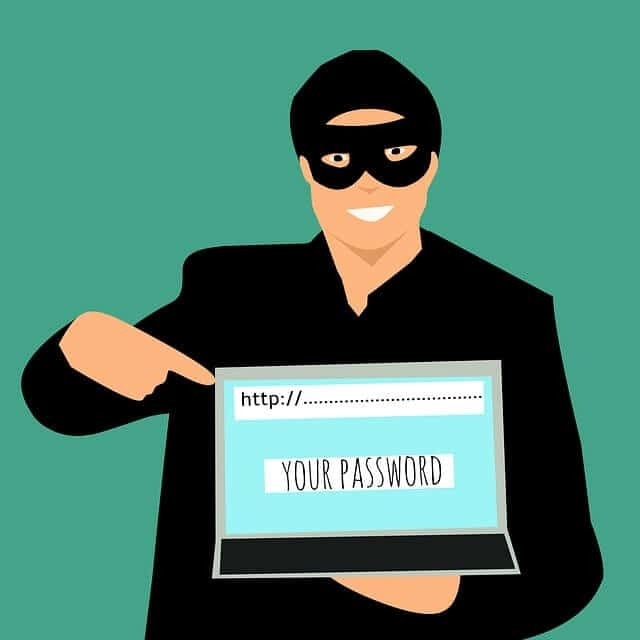 Likewise, updating one’s account information by changing the passwords into something that is more complex and difficult to crack will help minimize the instance of receiving such scams. The word ‘FREE’ is very powerful. If one attaches the word ‘free’ with any item or promo, people get instantly blinded regardless of the pitfalls that come with it. One of the most common free item offered online is a free trial of a specific software or a product. The trial can last for a month, with a matching low payment that victims need to accomplish for them to acquire the product. Unfortunately, the said initial cheap fee is just the beginning of succeeding payments that usually amount to $50 and above. How to avoid it: One simple method of determining whether a promo is true or not is the permission of the end-user to cancel subscription. Bogus promos will leave customers trapped in an unending cycle of payments. Meanwhile, credible promotions offered by known companies will give end-users the option to cancel their contract or subscription and even open negotiations for refunding their money. Credit card information is among the most commonly hacked personal data. A scammer pretends to be part of a company that issues credit cards and emails customers. In the email, recipients are given a forewarning of the need to update their personal information so that they can be issued with a brand new and more secure chip card. Those who fall for this scam will send their personal information, not knowing that they are already being made a victim of identity theft. How to avoid it: Reputable credit card issuers do not use email as a means for end-users to update their existing information. At the same time, new chip credit cards are also issued usually without requiring any sort of action from the customer. Customers should report misleading and suspicious emails requiring the breach of their credit card details. They must also opt not to click on any links sent via email especially if it is sent from unreliable and malicious sources. Email phishing is one of the oldest forms of online scams. It involves sending emails that will try and convince end-users to send sensitive and highly valuable information about them. The most striking part about these types of emails is that it often appears to be sent by a reliable source (a widely known social network, reputable institutions, big-time corporations, etc). Unsuspecting victims will then be redirected to a hacker-controlled link where they are coaxed to input their login credentials and personal data. How to avoid it: Always double-check the sources of emails being received. Multi-factor authentication and using random but strong passwords are also ways customers can gain protection against phishing. But, for those aiming for stronger countermeasures against email phishing, employing scammer moderation services is also a good option. Scammer moderation helps in the detection of faulty posts, messages, emails, and content aimed at soliciting money from unsuspecting individuals. This type of service also allows businesses to monitor members of their online communities more efficiently. This type of scam is run through window pop-ups in websites that scream, in bold, flashing letters phrases like, “YOUR COMPUTER IS INFECTED”, “YOUR SECURITY IS AT RISK”. The said window is masked by a seemingly trustworthy or tried-and-tested antivirus. The antivirus is offered at an affordable fee, and the end-user is guaranteed that their system will be rid off of the dangerous bug that infected their computer. Similar to the phishing scam, a link will be provided and customers will be asked to click on it to download the antivirus. In truth, the link only serves as the gateway for hackers to gain access to the victim’s personal information. How to avoid it: First, it is better to run a full system scan through the use of credible and up-to-date antivirus software. Some of the finest antivirus available are Bitdefender, Kaspersky, McAfee, Avast, and Symantec Norton AntiVirus. Pop-up windows with security breach warning should be ignored. Scammers posing as hopeless romantics thrive in online dating sites. They usually target people living overseas. They catch they ‘prey’ by pretending to fall in love with a fellow dating site member. From a long history of sweet nothings, exchange of photos and phone conversations, the victim finally gives in. Once the scammer gains their victim’s full trust, they will start asking for money and expensive items as a way of proving their affections or helping them out during a made-up personal crisis. How to avoid it: Playing on emotions as a way of scamming people is, unfortunately, very effective. There is nothing wrong with wanting to make new friends or find a lover through online dating sites. The crucial part here is determining whether the person on the other end is genuinely interested or not. Usually, once money is put into the equation of a relationship built through online dating, it is a clear and sure red flag. Think twice, thrice, or even five to ten times before finally committing to a virtually-initiated relationship. Charity scams steal money from end-users by convincing them to donate to a charitable cause. In reality, the charitable cause does not exist, but uses pictures and facts related to prevailing social issues such as hunger in third-world countries or the most recent calamities such as earthquakes or typhoons. Initially, people are captured by the phrase “Give what you can today”, before they are persuaded to use a faster method of sending money (most commonly through a Western Union wire transfer) recommended by the scammer. Not only that, end-users are asked to send, along with the cash, their personal information, credit card details, address and even their Social Security number. How to avoid it: For those who wish to really make a difference and provide assistance to those in need, it is best to go to real charities and send their donations in person. Real charitable organizations also have websites, which customers can double-check for authenticity. Also, a true altruistic cause will not request for a donator’s personal and sensitive information—in other words, even anonymous donations are openly accepted. One of the downsides of increased internet accessibility is the spread of fake news. 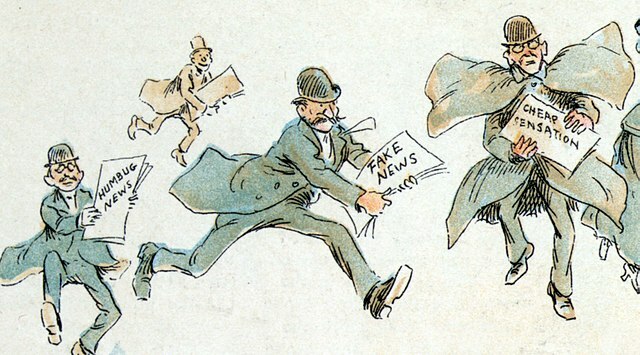 Fake news contain what experts deem as ‘too-good-to-be-true’ information involving established corporations, famous personalities, or widely pressing issues. Fake news sources often mimic credible information providers online, and cause a great deal of confusion and wrong influence to those who believe the misleading facts it presents. The spreading of fake news is also highly connected to practices of redirecting customers to fake websites asking them to purchase a particular product through inputting their credit card details. How to avoid it: Google and Facebook offer tools like Fact Check that allow end-users to check the validity of online sources. In addition to using these tools, internet users should be keener on scrutinizing the news they read especially on social media. It’s the year 2018 and yet there are still individuals who become the subject of hackers in social media. There are thousands of new accounts created in Facebook every day; but not all of these accounts are created by real individuals. There is a huge possibility that a considerable chunk of these social media accounts are only created for the purpose of stealing photos and identities of unsuspecting victims. Hackers who target social media accounts worm their way into their victim’s social connections and closest ties, even to the point of trying to prove that the victim is, in fact, the scammer by convincing people that theirs is the legitimate account. How to avoid it: By now, people should be more wary of the people they add on Facebook as well as on other social media channels. If it is someone they do not personally know, it is best to cancel the friend request or block them if they persistently send unwanted messages. Connecting to public Wi-Fi networks should also be avoided, as these networks can also serve as a hiding place or a hub for hackers. In addition, using a two-factor authentication for their accounts, logging out of other devices and keeping their passwords highly confidential will help keep them protected from instances of identity theft. Bitcoins, a form of cryptocurrency, is among the trendiest mode of payment prevalent in today’s digital market. Since bitcoins involve the exchange of money, there are people who are highly fascinated to invest in this type of payment system. The said technology does have its merit, but that does not stop scammers from creating fake bitcoin exchanges, malware, and Ponzi schemes that prey on the end-users’ money. Only a limited number of people are knowledgeable about bitcoins, making it an easy target for numerous scams. At present, bitcoin scams are mostly rehashes of old forms of online scamming. There are bitcoin scams that involve sending email attachments and links, or assuming the identity of a royalty or a high profile individual promising a huge amount of bitcoins in exchange for the victim’s compliance with a legal action or request for financial assistance. How to avoid it: Knowledge is the best way to avoid bitcoin scams. By staying updated with the most relevant trends and information about cryptocurrency, end-users can pinpoint which cryptocurrency offers and deals are credible from those that are not. URL checking as well as following bitcoin sites with the highest number of genuine and reliable reviews are also effective actions against fake bitcoin scams. Online threats and scams will most likely keep getting better and more creative, but thinking ahead of these cyber criminals is the best defense against their deceptive ways.